BOSTON, MA – On Tuesday, MBTA mechanics will launch a massive public information campaign including radio, print, television, and online ads warning riders and taxpayers about the poor track record of for-profit transportation vendor First Transit. The unqualified First Transit was the only vendor to participate in a failed RFP process aimed at giving away control of core MBTA safety and maintenance services to a for-profit company. The ads taking on First Transit and Governor Baker will air during upcoming Celtics, Bruins, and Patriots games, and on other top-rated broadcast programs across the Boston area. Print ads will run in all major Boston newspapers and online ads will reach millions of voters across the state. First Transit, heard of 'em? 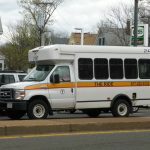 MBTA officials have still not publicly acknowledged that the only company to apply to the bus maintenance RFP is the controversial First Transit, a company that has garnered disdain from rider groups, municipal officials, and workers across the country, having been kicked out of multiple cities including Worcester, MA for poor service and unfulfilled contract terms. Most glaringly, First Transit illegally broke a contract with the MBTA as recently as 2009, leaving the agency with a $66 million funding gap and leading to multi-million dollar settlement in 2012 with the state’s Attorney General. The MBTA Fiscal Management and Control Board’s failure to be transparent about its RFP process and secret talks with unqualified First Transit adds to a growing list of controversies that have plagued MBTA privatization efforts in recent months. 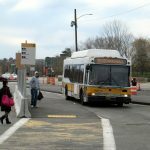 Those scandals have included private MBTA subcontractors humiliating and roughing up a blind homeless man, private subcontractors stealing valuable parts from MBTA bus maintenance garages, and private subcontractors failing to effectively operate a call center for the MBTA’s paratransit service. Keolis, one of the MBTA’s most egregious and well-known privatization failures, was recently found to be providing the worst commuter rail service in the nation. Keolis lobbyists arereported to maintain close ties to the Governror, who previously waived major fines against Keolis for their poor service. Ironically, it was the best-in-nation MBTA bus mechanics who would lose their jobs if First Transit takes control of core bus maintenance services were widely credited with the innovations that helped keep commuter trains on the tracks last winter. Reports have also recently surfaced of MBTA private subcontractors in the parts department sleeping on the job and repeatedly providing MBTA mechanics bad orders that include the wrong parts. Radio and television advertisements that will be part of the campaign to prevent First Transit from joining the parade of MBTA privatization failures have been posted to DontGiveAwayTheMBTA.org and InvestNowMA.org. As part of an “ideological crusade” to surrender public control of core MBTA services to a for-profit company, no matter how poor their track record, privatization hawks on the Fiscal Management Control Board have engaged in continued discussions with First Transit. Also, while failing to respond to more than $29 million in annual savings put forth by MBTA mechanics in contract negotiations, MBTA executives quietly posted a six-figure position to manage a bus maintenance contract that does not yet exist. The in-depth talks with the unqualified vendor First Transit are also occurring in violation of the Board’s prior public vote to first engage in good faith collective bargaining negotiations with the MBTA’s best-in-nation mechanic workforce. When asked during recent legislative hearing whether they were following the board’s mandate to negotiate with mechanics, MBTA officials have on multiple occasions stumbled and demurred on the question. Facing calls from the Democratic Party to recuse himself from the failed bidding process due to a financial conflict of interest, MBTA General Manager Luis Manuel Ramirez recently fled from related questions by a reporter onto a boat. MBTA bus mechanics are currently rated as the best in the nation, providing a higher number of mean miles between breakdowns than any other transit authority according to the national transit database. MBTA bus mechanics earn just under 3% above national average for wages when adjusted for cost-of-living. Many are military veterans and single parents who work multiple jobs to make ends meet.They have called Baker’s insistence on privatizing their jobs despite their superior performance and offers to give concessions in contract negotiations an “attack on the middle class” and have been joined at rallies in recent months by U.S. Senator Ed Markey, U.S. Congressman Joseph Kennedy III, U.S. Congressman Mike Capuano, City of Boston Mayor Marty Walsh, and more. A diverse and wide range of community groups have also rallied to support the mechanics’ cause, with organizations including the T Riders Union, Mass Senior Action, the Chinese Progressive Association, Community Labor United, Alternatives for Community & Environment, and more testifying before the Fiscal and Management Control Board against outsourcing core MBTA bus safety and maintenance services.